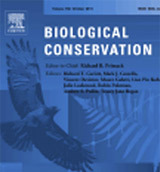 Sections represent regional interests or the discipline of marine conservation biology. SCB Chapters engage in on-the-ground conservation activities, and connect members at the local level. Working Groups focus on topical areas relevant to the mission and goals of SCB. 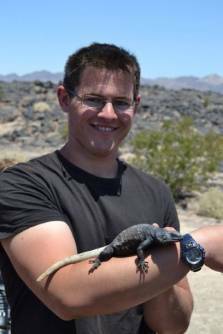 Submit your photo to our Earth Day Endangered Species Photo Contest! Register now to get the early bird discount! 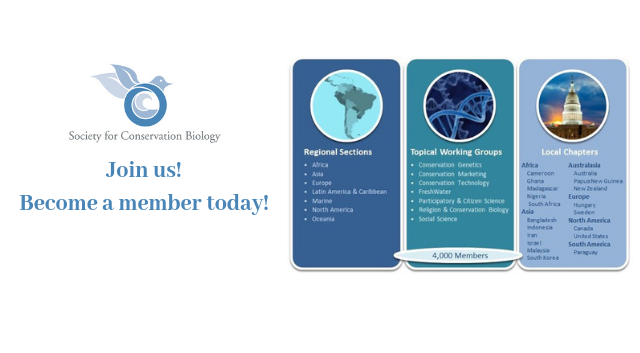 SCB is made up of members working to conserve biodiversity. Join today! 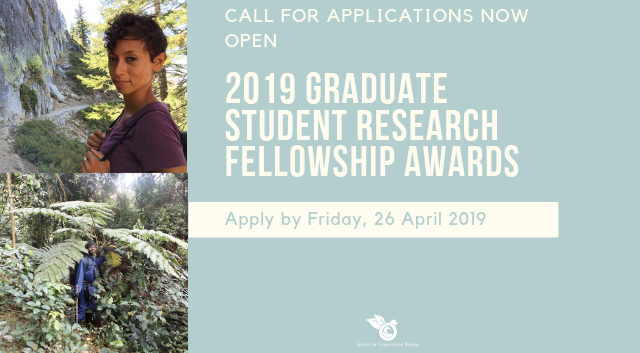 Apply for a 2019 Graduate Student Research Award! 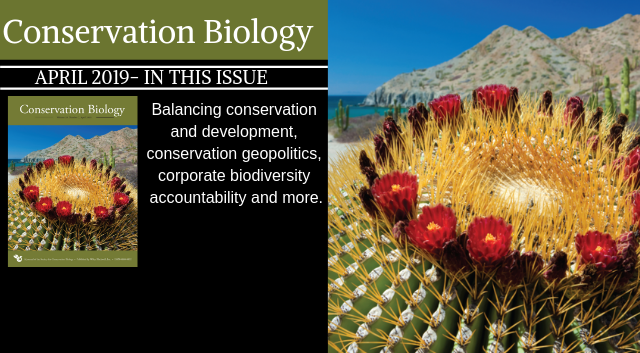 The April issue of Conservation Biology is now available! 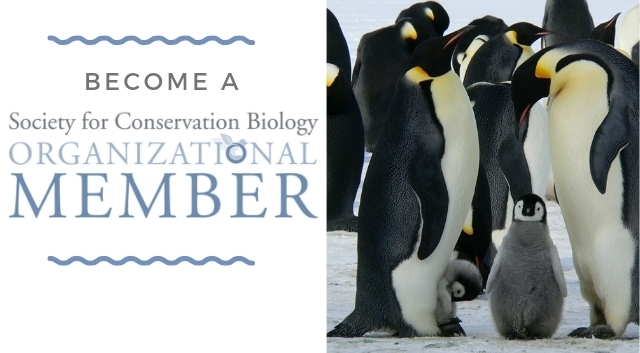 Become an Organizational Member of SCB! Learn more about the benefits. Submit your favorite photo of an endangered species for our Earth Day Photo Contest! 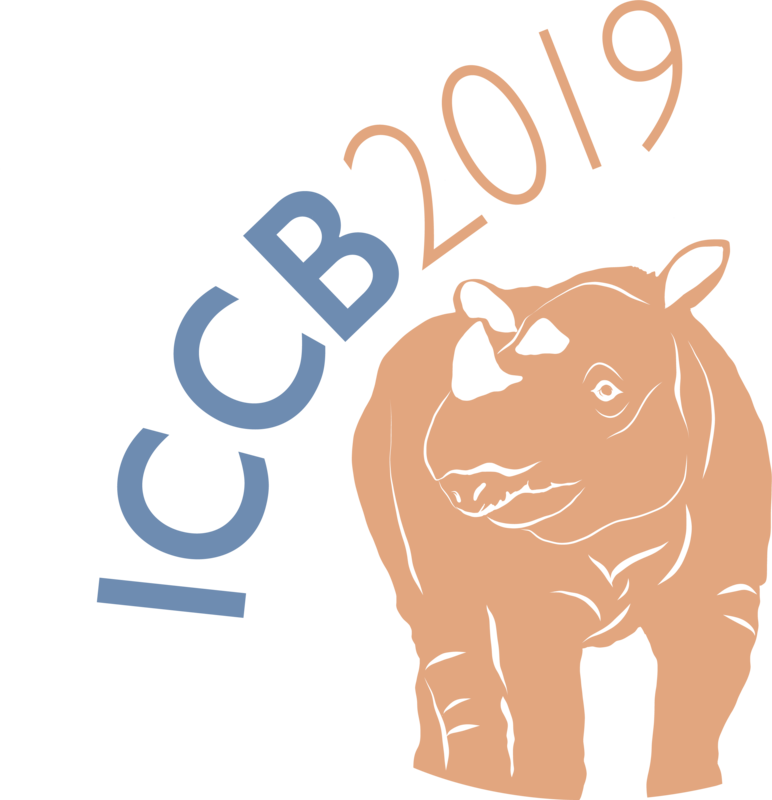 Registration now open for ICCB 2019! Congrats Anat, Charlotte, Joan, Max and Amy! 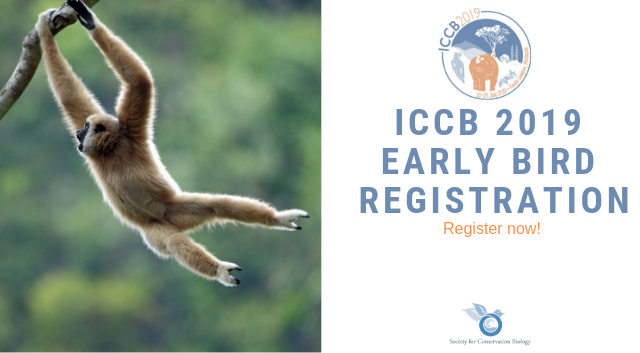 Register now for an Early Bird discount.